Believe it or not, computers have worked mostly the same way for 80 years. It boils down to electrical circuits that are switched from off to on, represented by the 0 and 1. As our conventional computers run on these switches or also known as bits, quantum runs on quantum bits or qbits. Once you study the difference between bits and qbits, you begin to learn the basics of quantum computing and see how this will reshape our world. If bits are essentially an equivalent to a switch, where 0 is off, and 1 means the circuit is on, what are qbits? First, let’s try to simplify this by visualizing the 0 is heads on a penny and the 1 is tails. 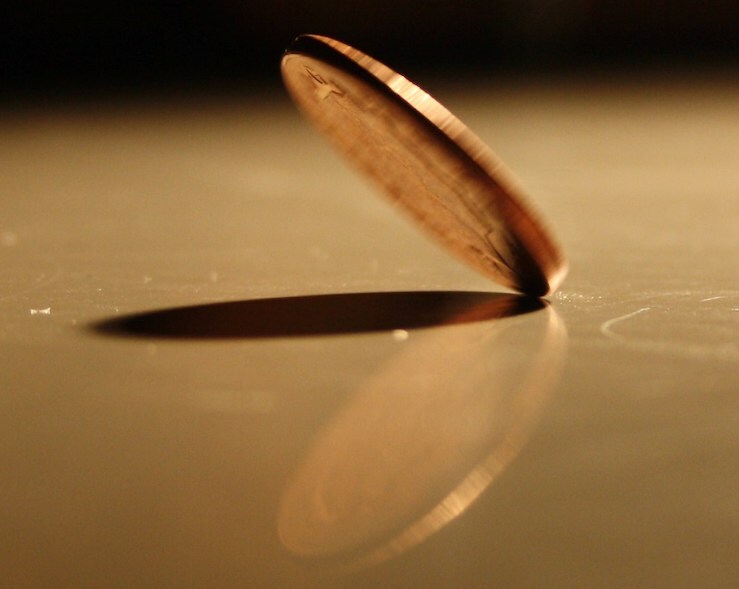 The penny is either heads or tails at all times in a traditional computer. Now, what if you spin the penny? It is neither heads nor tails, both, some of one and part of the other. This is the breakthrough concept quantum computing offers and why it is something fundamentally new. There are more reasons to see quantum as radically new. Qbits are atomic and subatomic particles magnetically suspended close to absolute zero temperatures. Spinning atoms, ions, photons, and electrons represent qbits and because this new type of CPU uses principals that can exist in multiple states at any given moment, the processing power potential is millions of times faster than that of any supercomputer in existence today. While several companies are investing in Quantum research, IBM seems to be pushing quantum further and harder than most. Today, IBM’s research lab in Yorktown Heights has more quantum computers than any other place in the world. They are pioneering the innovations around quantum computing and working to help others leverage this emerging technology. However, It turns out that qbits are delicate. Mechanical vibration or temperature fluctuations can disrupt computation ability. As part of IBM’s effort, they have constructed their Q System, an entire integrated system meant to be used outside of their lab environment. Industrial design professionals were teamed up along with quantum scientist and computer system engineers, successfully producing the first quantum integrated system. It includes the cooling components, electronic materials, vibration and temperature control units all working together. With a proven design system, IBM is contributing to the technical roadmap leading quantum to a more mainstream level. The reality is that we do not yet have stable predictive quantum qbits. Instead, we have prototype machines that are meant for research projects. There are even several quantum systems made publically available via the cloud, but they are not being used for commercial projects. The domino effect contributes to the complexity of advancing quantum computing. For quantum to become widely used it will require a robust developer community. So that a larger developer community can grow, predictive algorithms and abstracted programming languages must be in place. Constructing new software ware means having fault-tolerant systems where qbits are stable and precisely manipulated. Unfortunately for these reasons, experts are predicting the solution to be years or even decades away. As a result of quantum computing progress already made, we are dreaming bigger and brighter! Climate modeling, securing digital privacy and healthcare breakthroughs are future applications quantum technology is promising. Intelligent people are already forming questions that our best computers can not answer today. Remove those computing limitations, and our imaginations will be the new frontiers to explore.